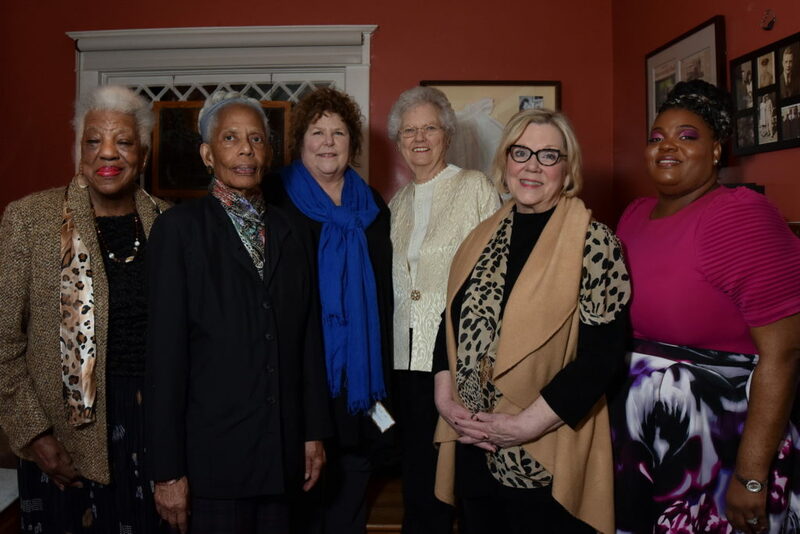 Nine local women who stand up and speak out were celebrated as Women of Achievement on Sunday March 24, 2019 at a reception at the Holiday Inn University of Memphis – 35 years after the first awards in 1984 at the New Daisy Theater on Beale Street. WMC News anchor Kontji Anthony hosted the awards ceremony. 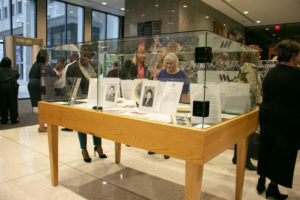 The new Memphis Women’s Legacy Trail was also unveiled – featuring a printed guide, online historic content and soon a mobile app, all created by Women of Achievement historians and researchers. 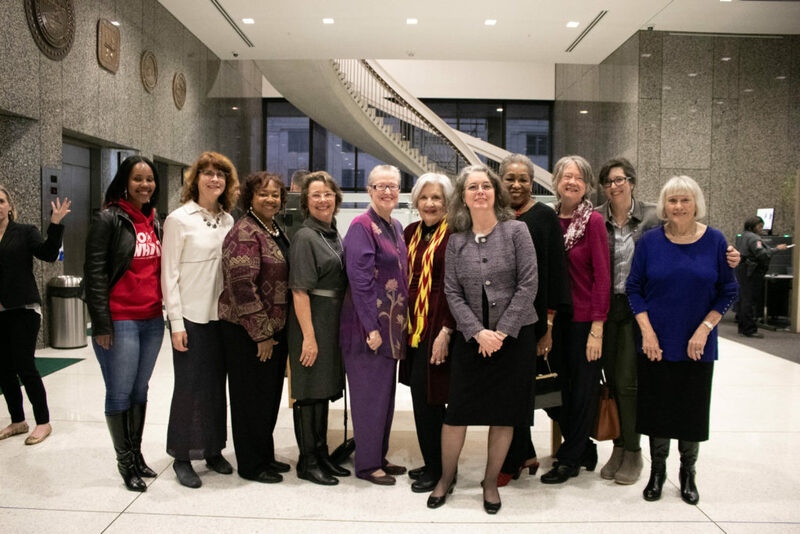 Visit the lobby of the Vasco A. Smith Jr. Shelby County Administration building downtown, and see the Women of Achievement exhibit on display through March! The exhibit was developed by Women of Achievement with the help of Shelby County Historian Jimmy Ogle. 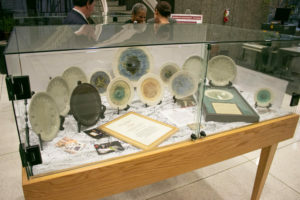 Featuring stories of a few Women of Achievement honorees, a selection of the handcrafted award plates, as well as memories and newspaper clippings from past years, the exhibit will be on display through March. A large banner showing all 247 recipients is housed in one of the cases. 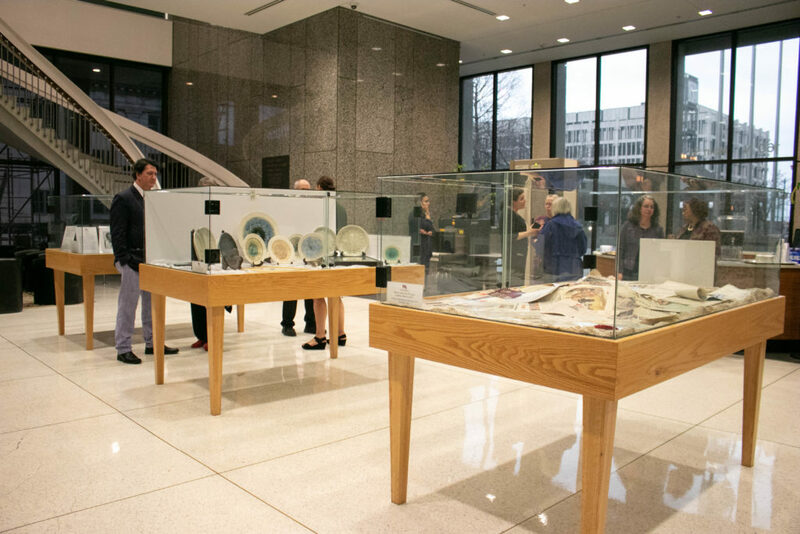 A small reception was held on February 6, 2019 to celebrate the opening of the exhibit. Women of Achievement presented Mayor Lee Harris with the 3 volume collection of all the honorees and their essays. Jimmy Ogle and Deborah Clubb thanked the crowd, and several WA honorees attended. Seven local women were celebrated on March 11, 2018 for change-making leadership across Memphis and Shelby County as Women of Achievement also pays tribute to all past honorees whose work emulated the issues and courage of Dr. Martin Luther King Jr.
“As our community commemorates MLK50 and the legacy of Dr. King, Women of Achievement joins in celebrating with a special tribute to the scores of courageous and determined local women honored during our 34 years for their leadership in civil rights, social and economic justice and equal rights for all,” said Deborah M. Clubb. Eight local women were celebrated on March 26, 2017 for change-making leadership across Memphis and Shelby County. The celebration was at the Holiday Inn University of Memphis. Co-hosts were Adrienne Bailey, retired CEO of Big Brothers Big Sisters and Emily Ballew Neff, director of the Memphis Brooks Museum of Art. We celebrated women who broke barriers for female artists, who stage a festival showcasing women in theater, who fight for reproductive rights, who speak out about surviving violence, who house the homeless, who create services for Latina victims of partner violence and whose ongoing leadership sustains women’s organizations. The 32nd annual award ceremony celebrating National Women’s History Month and honoring eight women from the Memphis area for community leadership and change-making was held at the Holiday Inn-University of Memphis on March 13, 2016. The event was hosted by prior honorees Summer Owens and Africa Gonzalez-McCloy. Presenters were 1997 Heroism honoree Sheila White Parrish, retired Justice Janice Holder, boxer Teagan “Tiny Turbo” Reed, past WA president Pam Routh, Dr. Zandria Robinson of Rhodes College, Bridges USA teen leaders Becca Folkes-Lallo and Eritrea Temesghen and Nora Tucker, manager of the Blues Hall of Fame. The 31st annual award event commemorating National Women’s History Month was held on March 22, 2015 at the Holiday Inn-University of Memphis. Storyteller Elaine Blanchard, a 2014 WA honoree, and Beverly Robertson, recently retired president of the National Civil Rights Museum, served as hosts for the event. The 30th annual award ceremony was held on Sunday, March 30, 2014. Click here to view honorees by year.